Now I know that hearing that from me must surely come as a surprise, because year after year I've stood at this very podium and slammed the UN for its obsessive bias against Israel. And the UN deserved every scathing word - for the disgrace of the General Assembly that last year passed 20 resolutions against the democratic state of Israel and a grand total of three resolutions against all the other countries on the planet. Israel - 20; rest of the world - three. And what about the joke called the UN Human Rights Council, which each year condemns Israel more than all the countries of the world combined? As women are being systematically raped, murdered, sold into slavery across the world, which is the only country that the UN's Commission on Women chose to condemn this year? Yep, you guessed it - Israel. Israel. Israel, where women fly fighter jets, lead major corporations, head universities, preside - twice - over the Supreme Court, and have served as speaker of the Knesset and prime minister. And this circus continues at UNESCO. UNESCO, the UN body charged with preserving world heritage. Now, this is hard to believe, but UNESCO just denied the 4,000-year connection between the Jewish people and its holiest site, the Temple Mount. That's just as absurd as denying the connection between the Great Wall of China and China. Ladies and Gentlemen: The UN, begun as a moral force, has become a moral farce. 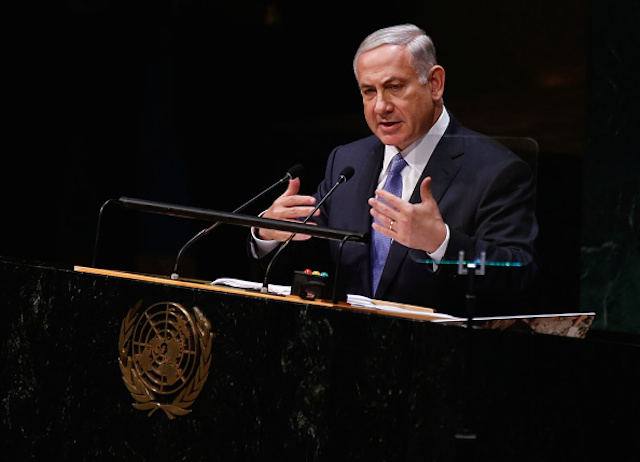 So when it comes to Israel at the UN, you'd probably think nothing will ever change, right? Well, think again. You see, everything will change, and a lot sooner than you think. The change will happen in this hall, because back home, your governments are rapidly changing their attitudes towards Israel. And sooner or later, that's going to change the way you vote on Israel at the UN.